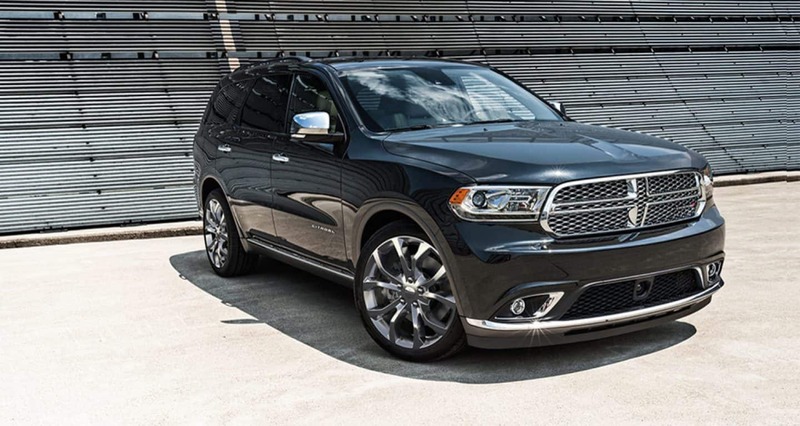 Are you looking to add a little style and muscle to your daily commute? If so, look no further because the 2018 Dodge Charger is the answer to everything you are looking for and more! 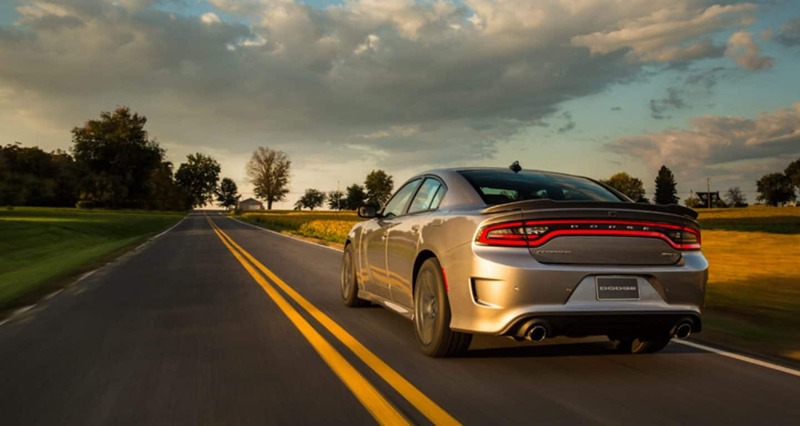 With an impressive engine lineup that can go from the highway to the track and bold exterior colors like White Knuckle and Go Mango, the 2018 Charger is one brash full-size sedan. 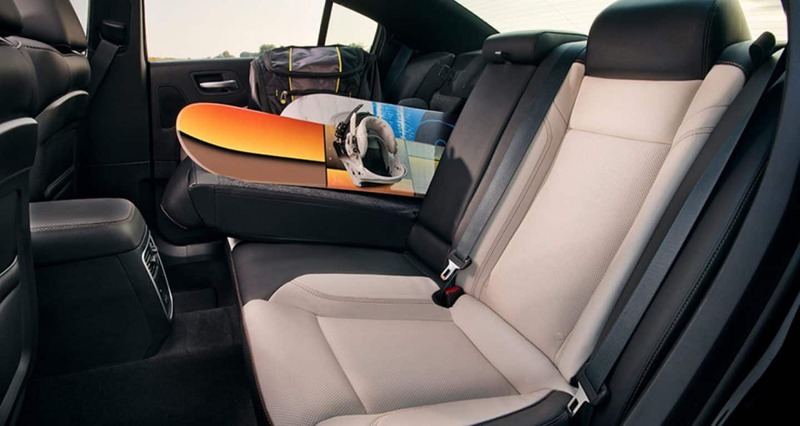 The Charger doesn't stop there each model also offers modern technology and comfort features even for rear passengers! 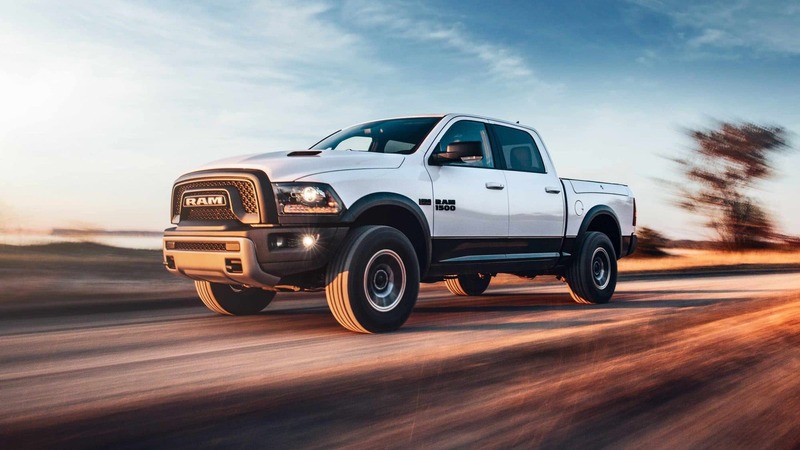 Dodge also updated some features for the 2018 model year including a standard rearview camera on all models and so much more! Want to learn even more about the 2018 Dodge Charger and all that is has to offer? Check out the rest of our review! 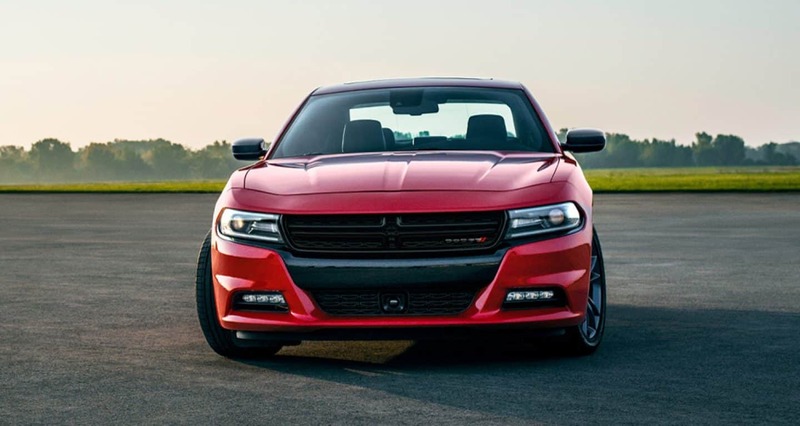 What trim levels and features does the Charger offer? 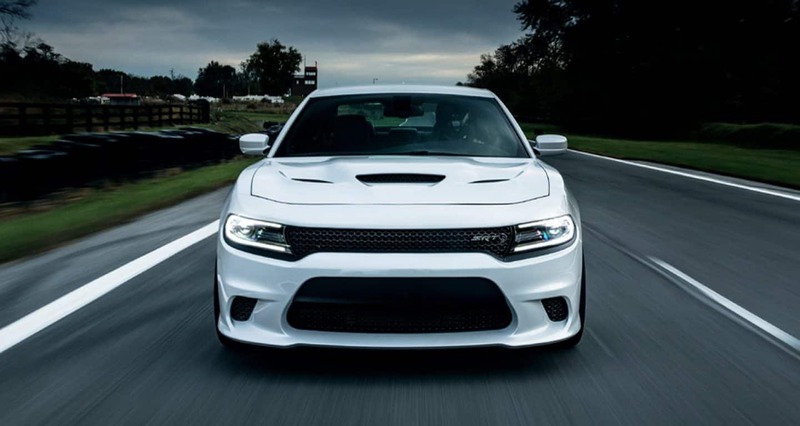 Dodge offers the Charger in a total of 10 trim levels for the 2018 model year ranging from the entry-level SXT to the bold performance model named the SRT Hellcat! 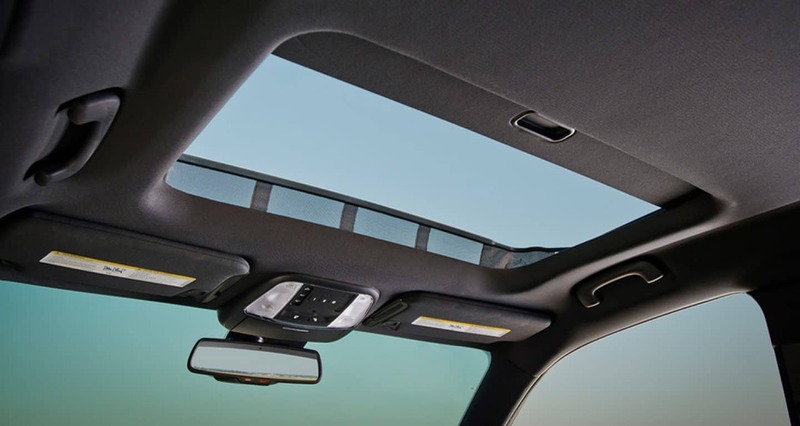 Standard features for the Charger include Apple CarPlay and Android Auto, 17-inch alloy wheels, Bluetooth connectivity, a power adjustable driver seat, a 7-inch touchscreen with Uconnect infotainment, keyless entry and ignition, dual USB ports, a six-speaker sound system, rear parking sensors, a rear seat with 60/40 split folding, and a rearview camera. If you opt for one of the other nine trim levels you'll gain features like automatic dual zone climate control, a larger touchscreen, heated sport seats, a navigation system, xenon headlights and so much more! Plus, depending on the trim level, there are quite a few packages available to add even more great features. What kind of powertrain options are available for the 2018 Charger? There are quite a few engine options offered for the 2018 Dodge Charger. Lower trim levels come powered by a 3.6-liter V6 that puts out 292 hp and 260 lb-ft of torque. This engine offers an impressive estimated fuel economy of 30 miles per gallon on the highway. Other engine options available depend on the trim level you opt for. They include the same 3.6-liter V6 that pumps out more horsepower and torque, a 370 horsepower 5.7-liter V8 and a 485 horsepower 6.4-liter V8. SRT Hellcat models are powered by a 6.2-liter supercharged V8. This engine creates 707 hp and 650 lb-ft of torque. Every engine is matched to a smooth shifting automatic eight-speed transmission and rear-wheel drive. However, GT models are the expectation as they are outfitted with standard all-wheel drive! What type of safety and security features are available for the 2018 model year? 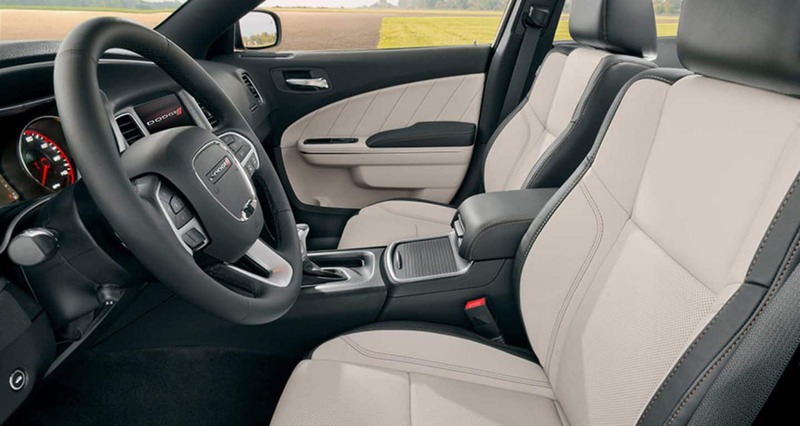 The 2018 Dodge Charger takes safety and security to the next level offering so many standard and available features to help feel confident behind the wheel (or in the passenger seat) and arrive at your destination safely. Standard features consist of all-speed traction control, electronic roll mitigation, hill start assist, Keyless Enter 'n Go, a rearview camera, and ready alert braking. Further standard features include speed control, supplemental front seat-mounted and side-curtain front and rear airbags, theft deterrent system, a remote start system, electronic stability control, and active head restraints. There are even more driver assistance features available for higher trim levels! The 2018 Dodge Charger is one loud and proud sedan! No matter where you journey you're going to catch eyes and turn heads! Especially if you opt for that Go Mango exterior! Want to learn more about this All-American sedan? Come on down to the Thompson Chrysler Dodge Jeep Ram of Baltimore showroom! You can also give our sales team a call or fill out the contact form below and we'll be in touch!